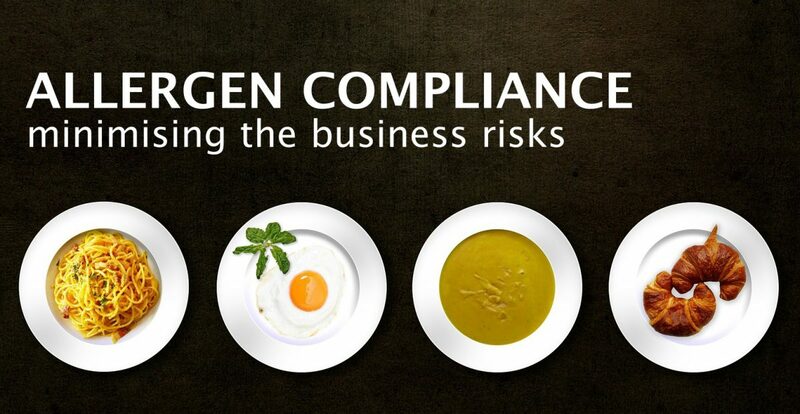 Allergen compliance is one of the key priorities for restaurateurs. Failure to comply with the current Legislation (EU Foods information for consumers regulation no. 1169/2011) is absolute negligence; which may result in severe business liability risks. Over 2 million people in the UK have a food allergy and an estimated 600,000 have coeliac disease. This means that restaurants must take all the precautions necessary to ensure that their guests do not end up having mild or even severe anaphylactic reactions. It can be extremely difficult to prevent carelessness with allergen compliance, as it is the responsibility of each restaurant employee to maintain his or her own personal duty of care. However, having a clear allergy management system in place is quite a unique selling point for those that know how to embrace it. The number of food allergy sensitive customers within the UK is growing. Unfortunately, customer service expectations in conjunction with the current economic outlook in the light of brexit are also expanding. The hospitality industry is taking a hit from every angle and only the forward thinking businesses with a focus on customer experience at its core will be able to stand the test of time. A recent study carried out by the University of Bath on behalf of the Food Standard Agency revealed that customers with food allergies are more comfortable about eating out. Although those customers are much more prone to brand loyalty, they are no longer turning away from experimenting and trying out new restaurants. Attracting guests with food allergies will also attract customers who are conscious about maintaining a healthy diet and lifestyle. Both consumers with allergies and those looking to have a healthy lifestyle are trending and expanding market segments. Combine those with a population hungry for a high quality of customer experience, and give them the tools to do so; you’ll be on to a winner. The new allergen functionality to the getWaiter! app allows customers to select menu options free of ingredients they cannot, or would prefer not to have. This simple interface gives consumers a quick and trustworthy solution to problem of identifying the meals and drinks they can order safely and with confidence. Dealing with allergens can be a daunting task for both the server and the patron. The waiting staff will often be rushed off their feet, trying to juggle a number of tasks at a time, leaving customers agitated about their eating requirements being forgotten. The getWaiter! app de-stresses those situations, by offering a spare set of eyes that give your waiting staff a gentle reminder of each customers respective allergen requirements. Using the extensive insight data collected behind the scenes of getWaiter!, you can now track what your customers are most often allergic to, and further streamline your menu to give a wider range of options to people with specific needs, increasing the chance they will become a repeat consumer, achieving the elusive second sale and increasing revenue generation. Using getWaiter! to show, track and account for the allergies of your customers is a clear record of your willingness to take reasonable precautions against an unforeseen allergic reaction. Human error is always a factor in business; use getWaiter! to help alleviate risk of an anaphylactic catastrophe. Next Next post: Allergen Information: Accuracy made simple with getWaiter! Monica Frosina on Employee Recognition and Appreciation with getWaiter! Allergen Information: Accuracy made simple with getWaiter!